These cookies are so quick and delicious! Chicken Legs wanted something sweet last night, and I didn't want to spend a lot of time making something. I found this recipe on a box of cake mix and decided to give them a try. They only took a few minutes to make and they tasted yummy! The cookies were soft on the inside with a little crunch on the outside from the cinnamon sugar mixture. I used a medium cookie scoop and the cookies were huge. Next time I might use a small cookie scoop, not that anyone complained about the big cookies! Combine sugar and cinnamon in small bowl. Set aside. Bake for 8 to 9 minutes. Remove to cooling rack to cool completely. Easy enough for me to make, face plant into, and eat. Fluffy and cinnamony--the key requirements for the ultimate snickerdoodle. Love! I LOVE snickerdoodle cookies but the last few times I have made them from scratch, they didn't turn out right. You can bet money I'll be giving this recipe a try. Thanks for sharing!! These look great! A quick way to satisfy a sweet tooth craving! I love cookies, and especially this kind. My boyfriend will love these too! I'm making them soon. I love looking at your blog. There are so many things on here I want to try and some that I already have. I like that its using simple ingredients for such delicious food. Can you visit my new blog at mykeystroke.blogspot.com Check out the brain injury page for my story :) Please pass this address around to others that you know! Thank you! Yum! There's nothing better than delicious & easy cookies. Made these cookies over the weekend. All I can say is WOW!! They were delicious. And super easy. 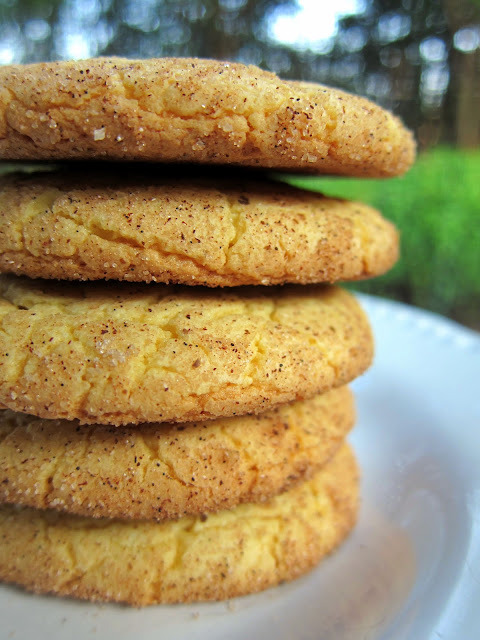 If you love snickerdoodles, you'll love these.